The Vietnam Digital Communication Association (VDCA) launched the first Vietnam Digital Awards 2018 in Hanoi on June 29. It is to be an annual award by the VDCA to honor and award prizes to outstanding individuals and organizations for providing or applying digital technologies to enhance customer experience, contributing to the digital transformation and the development of the digital economy in Vietnam. 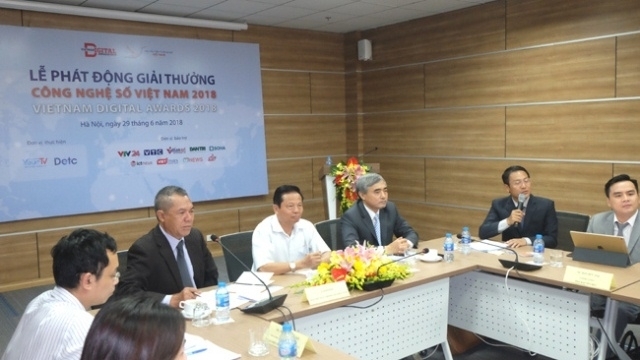 Nguyen Minh Hong, Deputy Minister of Information and Communications, said that there is strong growth of an unprecedented scale and speed in technology, especially digital technology. 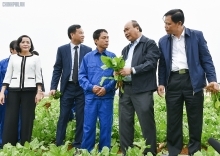 In Vietnam, over the past few years, IT communities have significantly contributed to the overall development of technology, as well as to the country's socio-economic development. The maiden awards consist of two major categories awarded to two target groups, in which the first category covers typical digital products and services by units and individuals operating in the field of ICT that serve practical needs. The category consists of six awards: Reliable social network, Excellent mobile application, Excellent online games, Excellent e-commerce services, Effective marketing and digital communication, and Excellent digital solutions for people with disabilities. The second category seeks excellent digital applications by units operating in areas with strong digital transformation from traditional models to a digital based operation and business environment. It includes six awards: Digital applications in banking and finance, Digital applications in the field of tourism and entertainment, Digital applications in education and training, Digital applications in the field of healthcare, and Digital applications in the field of agriculture, and Digital applications on business on the Internet. According to the Organising Committee, the criteria for evaluating the winners are based on the performance and business results of the units, as well as the features and practical effectiveness of their products and services. The awards will be open to applications from July 1 to the end of September. The awards ceremony, which is expected to be held in November this year, will be televised live on Vietnam Television.